My name is Jennifer Moon and I am an arts administrator at a museum, a wife and a mother of twin boys. I love cooking, hiking and camping. I especially love hanging out with chickens! 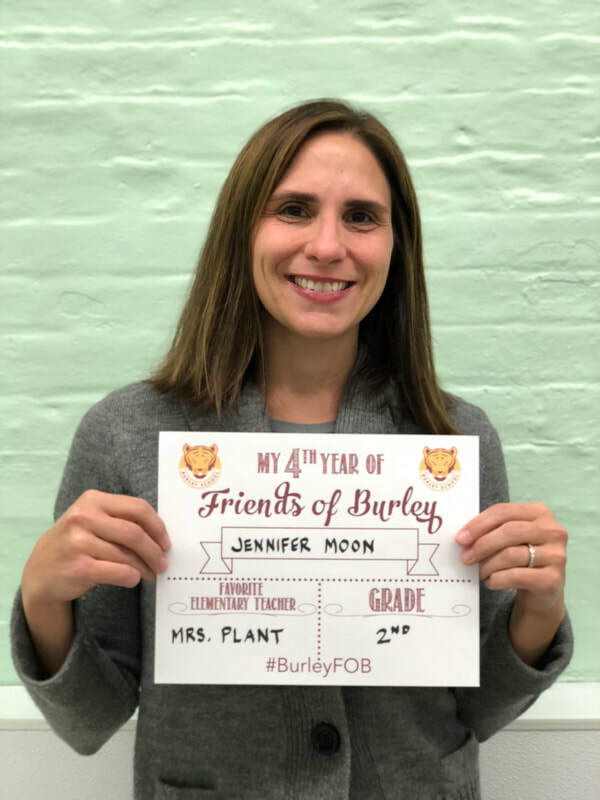 I volunteered to join Friends of Burley because I feel strongly about keeping the magic of Burley School alive and prospering, and by helping to raise funds for the school we do just that. And I like decorating for parties. While a Board of Directors member, I have helped with Winter Party decor, Communications and have co-chaired the Fall Social for the past three years. Since I work part-time during the day, helping and attending FOB meetings fits right into my schedule. It’s been great working with parents from different grades on our shared goal-to Raise It Up!